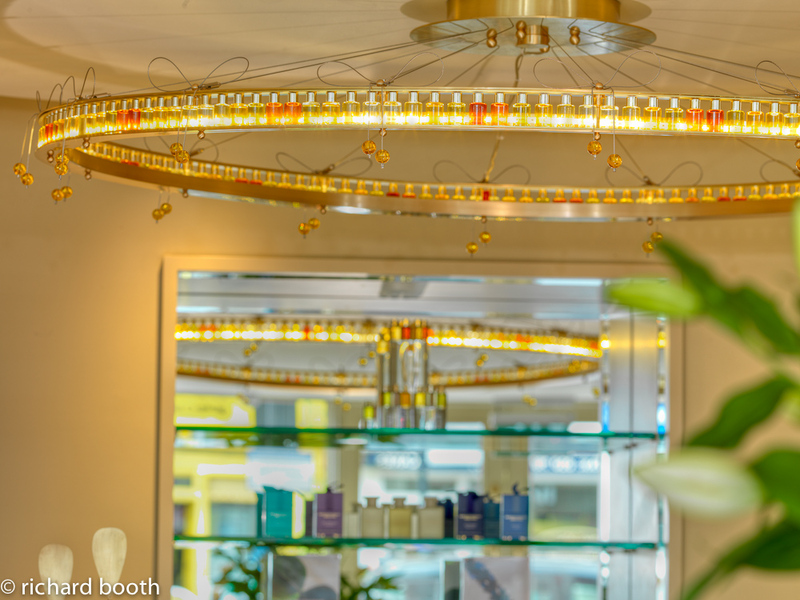 A unique chandelier produced in our factory forms the central feature at the entrance of Aromatherapy Associates’ Knightsbridge Boutique & Treatment Rooms. 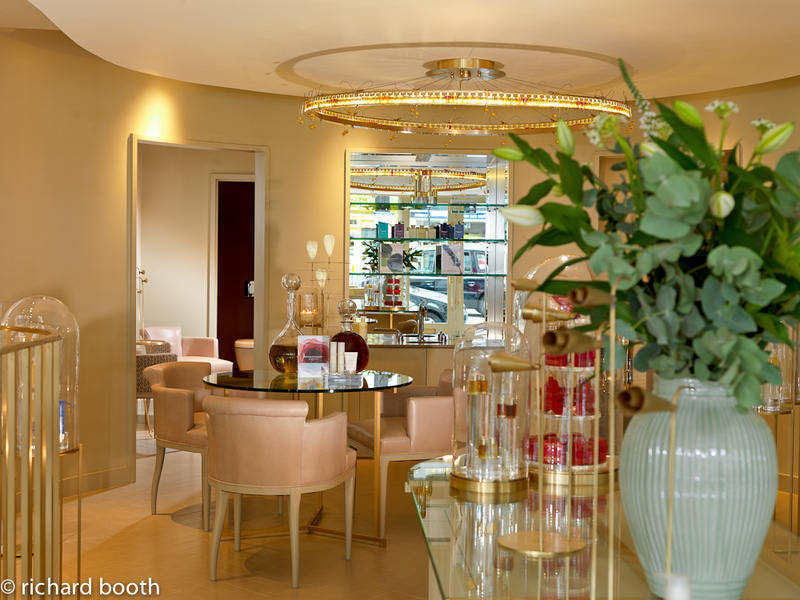 Working to a Martin Hulbert design that incorporates playful use of the company’s products, we manufactured 1600mm diameter metal rings finished in satin brass to complement the boutique’s furniture. Some 160 glass bottles containing different coloured aromatherapy oils were fixed to these rings and LED’s were then fitted behind the bottles both to shine through them and to spread the multi-coloured light.